No matter how near or far you are from retirement, your financial strategy needs to evolve. 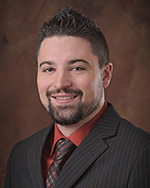 Hi, I'm Zakrie Popejoy, a Farm Bureau Insurance agent in Blackfoot, ID. I'm here to make insurance simple for you. I'm committed to helping you prepare for the future and protect what matters most. Let me help you through all stages of your life. For your insurance needs, call (208) 785-2410.